Copyright: Tom Hayward - BBC In the act of murder there is a weapon, a crime scene and a body - all vital evidence in the hunt for the killer. In this series surgeon and writer Gabriel Weston investigates the world of the forensic scientist and the murders they’ve helped to solve. She explores the cases that proved pivotal to the advancement of forensic science and she reveals the cutting edge technology that’s keeping the detective one step ahead of the criminal. Today, from just a few cells, the face of a suspect can be constructed – a process called molecular photo fitting and we find out how a tiny sample of soil can pinpoint where a murder took place. We've all seen CSI, but what exactly is forensic science? Martin Bootman explains. Read nowWhat is forensic science? "Forensic science is just recent archaeology", says Allan Jamieson, Director of the Forensic Institute, Glasgow, as he explains how the same science can solve recent crimes and shed light on the past. Dr Martin Bootman explains what DNA profiling is, how it works and how it can be used to catch a killer. Chemistry is of enormous importance in everyday life: almost everything that exists, and all that we see, make and eat is composed of molecules. The unravelling of molecular structure is a key activity of chemists. In these three video tracks, Dr Mike Bullivant looks briefly at three of the spectroscopic techniques that are used to determine the structure of chemical compounds - infrared spectroscopy, proton (1H) and 13C nuclear magnetic resonance (nmr) spectroscopy, and mass spectrometry. 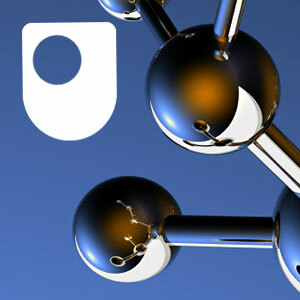 This material is taken from The Open University course S205 The molecular world. Copyright: Alastair McCormick - The BBC Gabriel Weston smashes up the cremated skull of a sheep to show what remains when a skull is burnt. There was a time when obscuring the identity of the victim would ensure the killer escaped justice but the emergence of forensic science changed all that. Episode 1 of Catching History's Criminals: The Forensics Story examines four murders, all cases of identity. First we examine the murder of Dr George Parkman where the head is destroyed in a furnace to mask identity. This case gives birth to the science of forensic dentistry in 1849. Dr Buck Ruxton tried to conceal the identity of his victims but cutting them up into small pieces. He was revealed as the killer of his wife and their maid thanks to a number of forensic firsts including the application of forensic entomology in 1935. John Haigh in 1948 went one step further by dissolving his victims in acid but analysis of the remains still proved his guilt. The biggest advance of all came with the invention of DNA fingerprinting by Dr Alec Jeffries in 1986. Serial killer Colin Pitchfork became the first person to be convicted of murder based on the evidence of his genetic makeup. As Gabriel Weston discovers - every contact leaves a trace. The story of criminality is the story of identity. BBC Inside Science asks where the future of forensics lies this week.